It is the time of year for seeding our prairies. 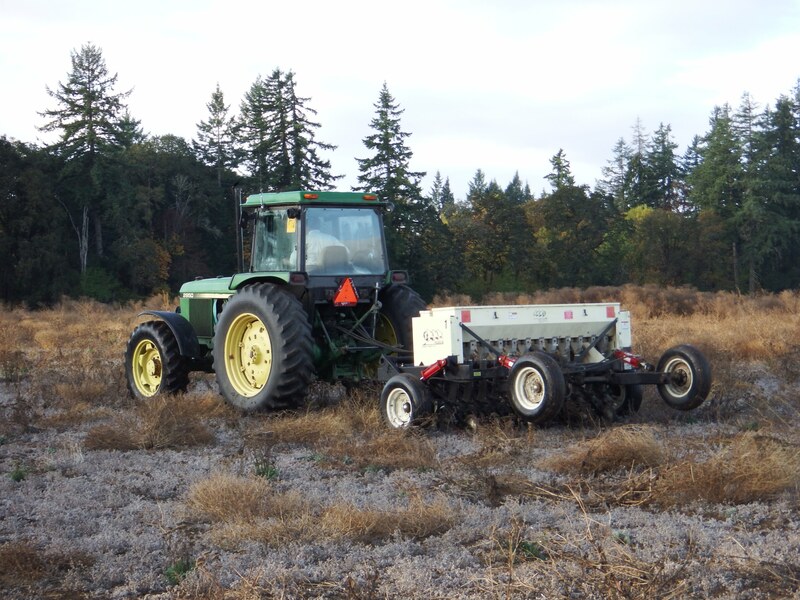 In fall 2015 native grasses and forbs were sown at Herbert Farm and Natural Area, south of Corvallis. The Institute for Applied Ecology is helping partners restore a formerly farmed 37 acre field to native prairie. Last year, after two years of site preparation, native forb seed was sown on the field. 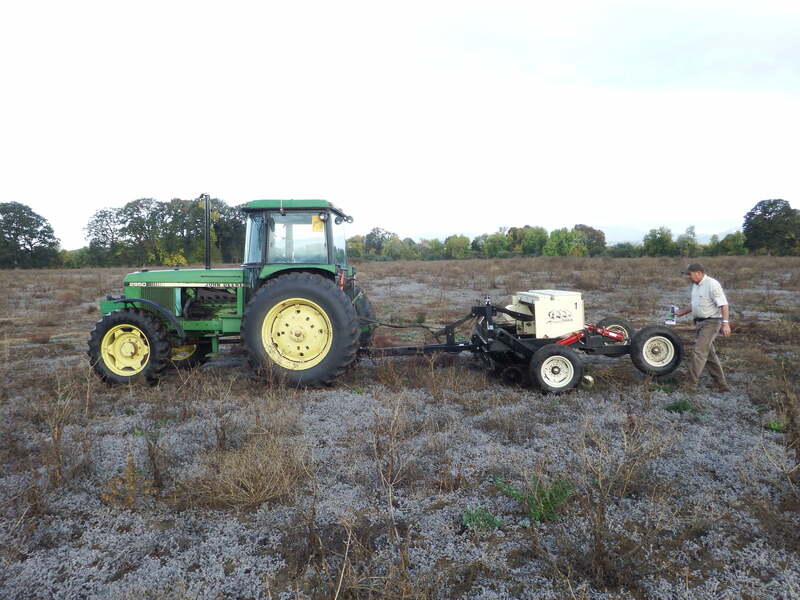 This year we are sowing native grasses and more forbs to build on the previous years' efforts. 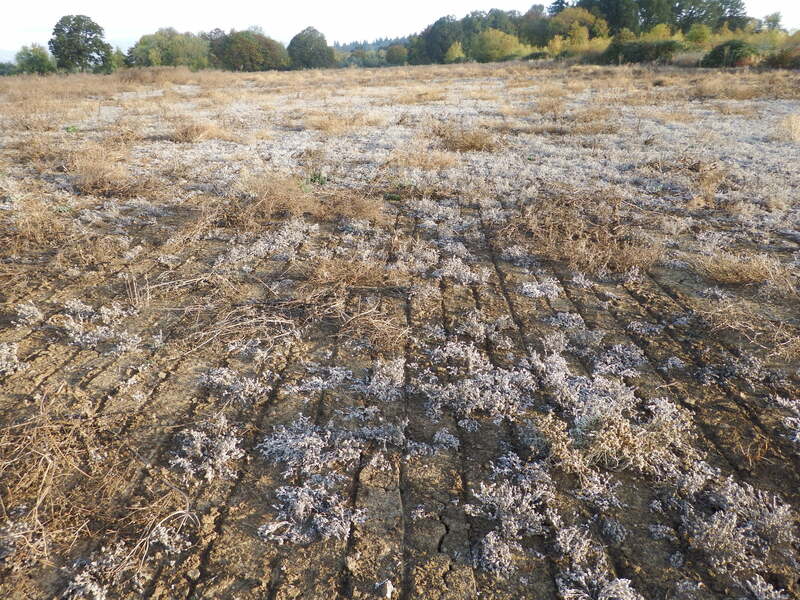 A 1.5 acre wet prairie was also sown with seed of the threatened Nelson's checkermallow. 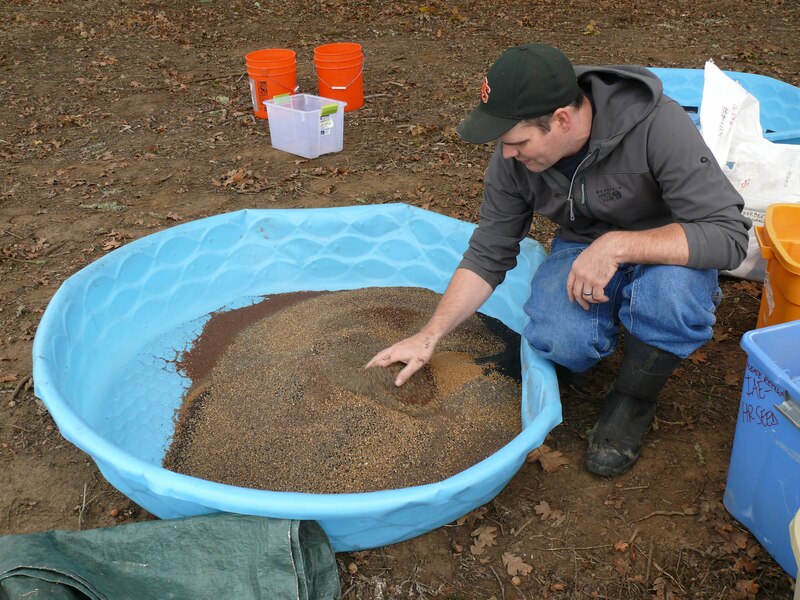 US Fish and Wildlife Service (USFWS) and Oregon Department of Fish and Wildlife (ODFW) have been instrumental in getting the seed on the ground. 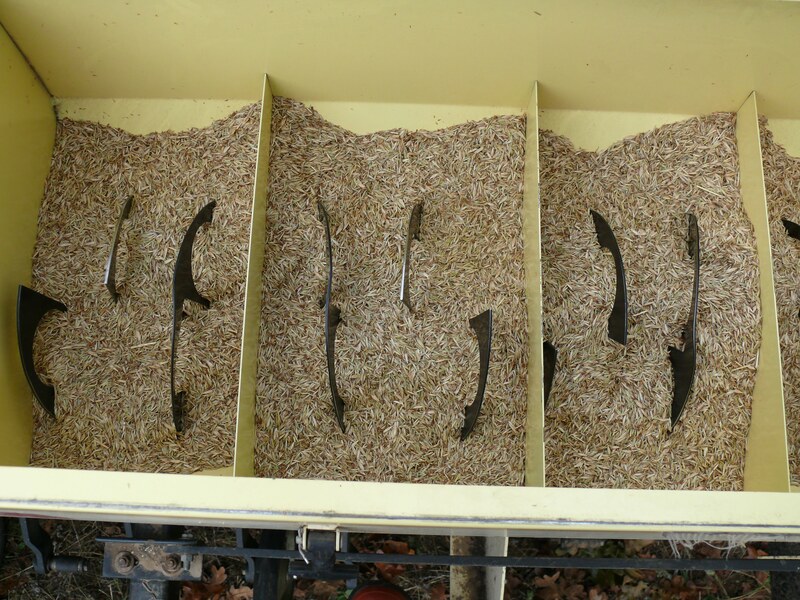 Seed mixes of 18 forb species and 9 graminoids were prepared to suit either wet swales or upland habitat. 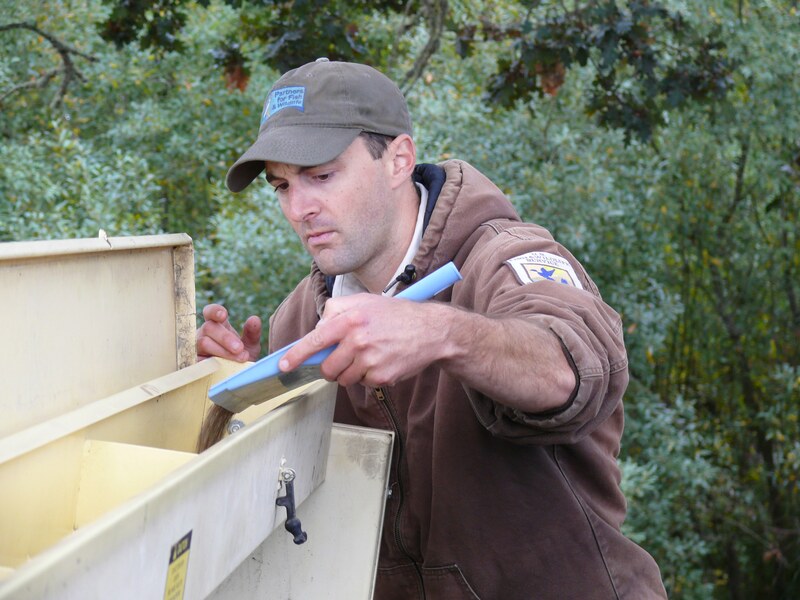 Shawn Woods (Oregon Department of Fish and Wildlife) mixing native forb seed, such as tall camas, farewell to spring and common madia, among other species. Herbert Farm and Natural Area is a 221 acre owned by the City of Corvallis, with a conservation easement held by ODFW and Bonneville Power Administration. Restoration at the site is a collaboration between several partners, including ODFW's Willamette Wildlife Mitigation Program, USFWS Partners for Wildlife Program and the City. IAE has been restoring a range of habitats on an 80 acre portion of the property with grants from ODFW and Oregon Watershed Enhancement Board. Many thanks to our partners for contributions to the project.